Calling all foodies!! 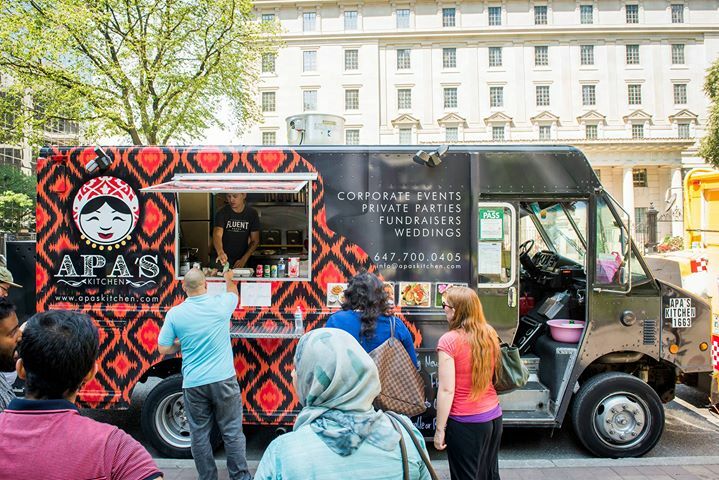 We are extremely excited to announce that 4 food trucks will be coming up from Toronto to share their delicious, mouth-watering delicacies at Santa’s Village! Crispy Craves specializes in fish and chips, fish tacos, chicken wings and poutine! Road Grill specializes in grilled meats, including steak sandwiches, burgers, chicken curry and kabob wraps! Apa’s Kitchen specializes in Asian fusion cuisine which includes burritos and baos! Mustache Burger specializes in gourmet burgers made fresh each day with ground steak!